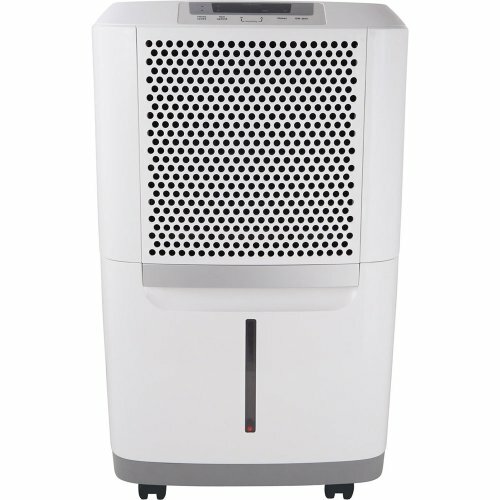 If you suffer from allergies or have a house filled with dust mites, you’ve likely been advised to get a dehumidifier. Dust mites increase in population when the relative humidity is more than 50% and decrease in population when the relative humidity is below 50%. Humidity control is a decisive factor for dust mites population growth. 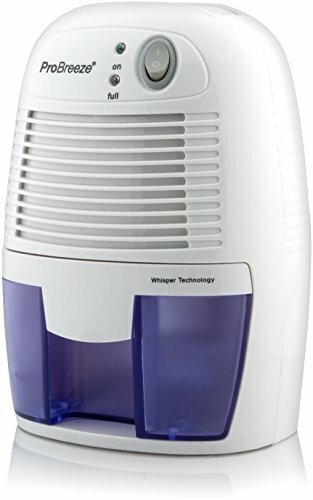 Will a dehumidifier help with allergies? 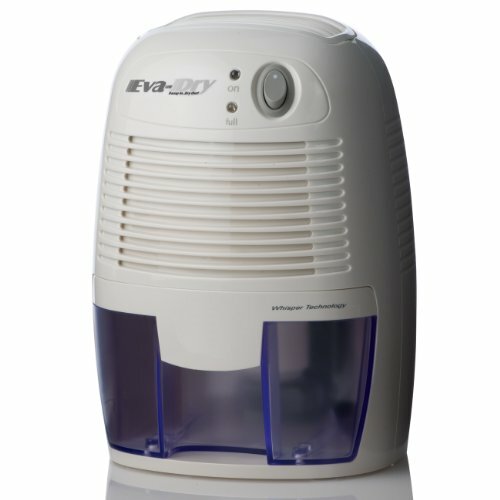 Are you wondering if a dehumidifier can really work to get rid of dust mites and help allergies? The science says that they can. One study showed that using a dehumidifier did indeed reduce the number of house dust mites. While the dehumidifier group in the study didn’t see a drastic reduction in allergens as well as house dust mite count, the authors of the study admit that it was limited in terms of size and the dehumidifiers used. Another study assessed whether or not a dehumidifier could help with asthma. The study was followed up by another study that showed dehumidifiers were able to create a significant improvement in evening peak flow. Finally, there was a study assessing whether dehumidifiers can control allergens and dust mite population. It showed that dehumidifiers can get the job done, but one portable dehumidifier isn’t enough to keep an entire house clean of dust mites. With all of this in mind, let’s take a look at the 5 best dehumidifiers for dust mites and allergies. 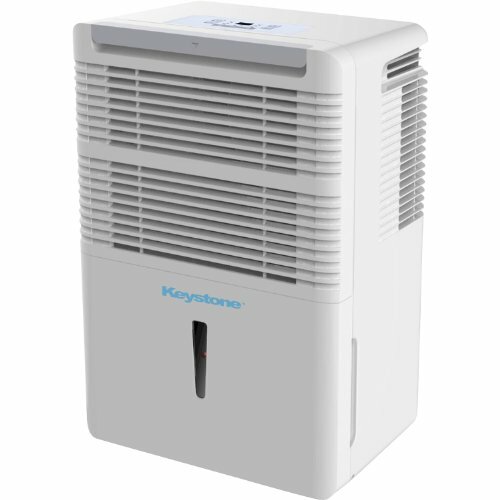 The Keystone KSTAD508 Energy Star 50 pint dehumidifier is able to remove up to 50 pints of moisture each day and covers a room of up to 3000 square feet. It comes with a range of features including an LED display, a transparent water level indicator, a 24-hour timer, and an automatic shut-off feature. It’s possible to attach a garden hose to the humidifier to keep it running continuously. This dehumidifier is a safe choice for cleaning dust as it comes with a dust filter that alerts you to when it needs to be clean and is super simple to clean to boot. One unique feature is that it has an auto-restart feature. If you ever lose power the unit saves your settings and starts back up from scratch when the power comes back. 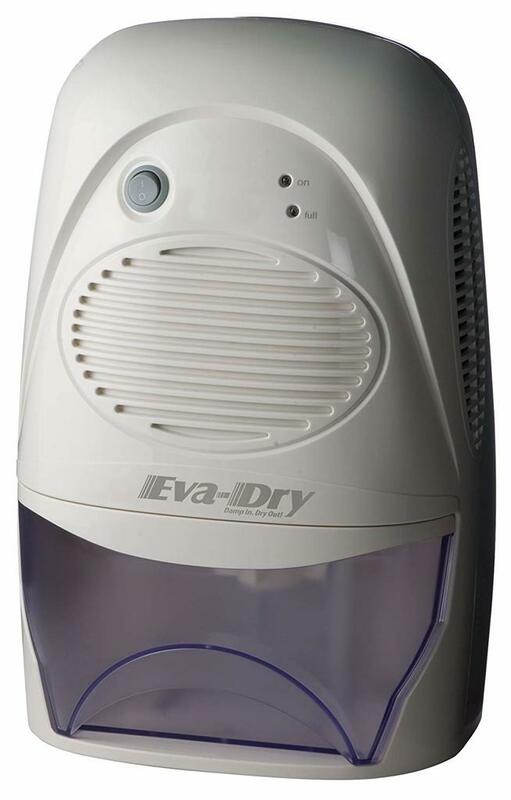 The Eva-dry Edv-1100 electric petite dehumidifier is whisper quiet thanks to Peltier Technology that means it has no compressor. It’s an ideal choice for small-to-mid-size rooms and bathrooms, where moisture can be a real issue. This dehumidifier is small enough to fit under a desk but still gets the job done. Water is kept in a spill-proof reservoir and will shut off automatically should the reservoir get full. The Frigidaire 70-pint dehumidifier is great for keeping your home safe from the mold of excess moisture. It’s also effective at removing bacteria and allergens from the air, making it easier for you to breathe. As long as you keep the unit by a drain, this dehumidifier is capable of continuous round-the-clock use. It can collect up to 70 pints of water from the air each day. It comes with a range of electronic controls including a digital humidity readout, a timer, and a control lock. One special feature is the Effortless Humidity Control that allows you to control the precise humidity level for a room. If you want a small dehumidifier that has a lot of room then the Pro Breeze PB-02-US dehumidifier is easily one of the best choices. This is the latest model form Pro Breeze and it comes complete with the power to quickly and effortlessly remove the moisture and damp from the air. This portable dehumidifier is best used in small spaces such as a garage, kitchen, caravan or wardrobe. 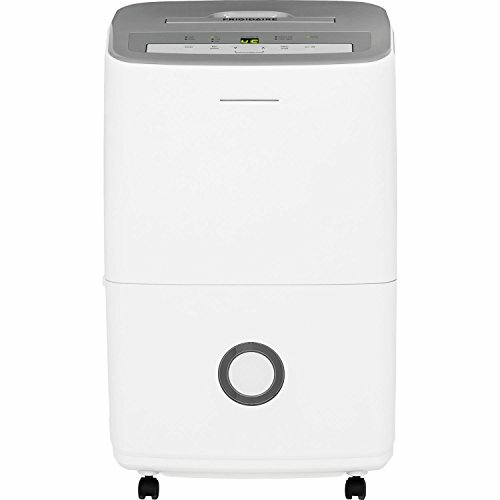 This compact dehumidifier may indeed be the best choice in compact and portable dehumidifiers. It’s capable of extracting up to 9 ounces of moisture each day with a 16-ounce capacity water tank. You won’t be left emptying the unit every few hours. This is both a plus and a minus given the effectiveness of the unit. You won’t need to clean it out every few hours, but you’ll also have to leave it on all the time for it to be truly effective. Much like the other Frigidaire dehumidifier in our list, the Frigidaire FAD504DWD Energy Star dehumidifier is best when put near a drain. It also comes with an electronic control panel that allows you to control humidity levels. There are some differences between the products of course. The most obvious difference is the capacity. This model can only handle 50 liters compared to the 70 liter model. This makes this dehumidifier a solid middle ground choice. It also comes with an antibacterial mesh filter to reduce airborne particles such as bacteria and room odors. It presents a powerful all-round solution to keeping the air in your room free from contaminates that can damage your health. As one of the studies mentioned above showed, a small dehumidifier isn’t effective at clearing an entire house. A smaller one will do fine for a single room, but you need to consider getting a bigger one if you’re looking to cover more room. 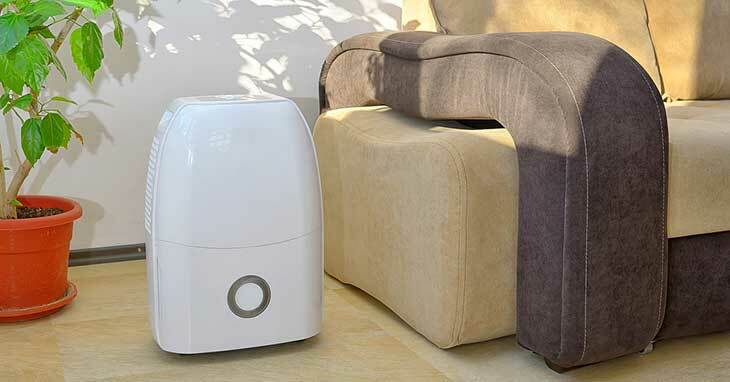 Choose a dehumidifier based on the size of the space you need to dehumidify. Check the product description to find out how much space they can handle. The capacity of the dehumidifier is also another thing to consider. A larger capacity dehumidifier needs to be emptied less, but it does cost more. Buying the most expensive model there is might not always be the best choice. Buying a dehumidifier for every room in the house is also not very cost-effective either. Consider the cost-effectiveness of your purchase. If you’re looking to buy a dehumidifier for one or two rooms, then go with a good unit for that size room. If you’re looking to dehumidify your whole house, then just go for a whole-house dehumidifier that can keep every room free from moisture. A dehumidifier is used to remove humidity, which it does by eliminating moisture. The more moisture you need to remove, the more powerful the humidifier you need to do it. If you don’t mind splashing your cash, then consider a commercial dehumidifier or a specialty machine designed for a specific space such as a basement or crawlspace. Temperature levels are also important when it comes to using a dehumidifier because temperatures can affect the operating ability of the machine. Dehumidifiers are less effective when placed in low-temperature areas, such as a basement or garage. If you need to dehumidify a cold room, then you need to find a dehumidifier that won’t freeze up on you. Some humidifiers come with their own special features. One of the most useful of these features is ducting. A dehumidifier with ducting can dehumidify several rooms at once and can be hidden in a closet to save space. You can also get dehumidifiers with digital/remote controls, timers, and condensate pumps, among other features. Ask yourself if you really need that additional extra, and avoid paying for things you don’t want/need. Some dehumidifiers are known to make an awful lot of noise. Some of them also consume a lot of power. The two problems tend to go hand in hand as the more power a unit consumes, the louder it is. The thing about dehumidifiers is those small and portable models designed to quickly remove moisture are the ones that consume the most power and make the most noise. If you want to use your humidifier a lot then you want to consider getting a whole-house humidifier. These fit into the air conditioning system, meaning they make almost no noise. There are also a wide range of whisper-quiet dehumidifier models that boast effectiveness without making a lot of noise. One thing our list has shown is that there really is a lot of choice when it comes to finding a high quality dehumidifier. There’s almost a little too much choice when you think about it! If I had to choose just one of these dehumidifiers I think I would go with the Keystone KSTAD508. It has more going for it than the mini dehumidifiers, has the same capacity as the FAD504DWD, but is much smaller and cheaper. It’s not the perfect choice of course, but it does just what I need it to do. That’s the thing you need to remember when it comes to choosing a dehumidifier; find the best one for you. Read through the reviews of the different dehumidifiers and pick one that matches your needs and budget.